When too many deaths happened one right after another, and when so many things seemed to go wrong and I was lost in the upheaval, I wondered if there were others who felt the same as I did. I could find no blog, no book, no devotional, no person to connect, no mentor to talk to. I tried reaching out, and became rejected by so many people or labeled a freak or wanton. I wanted help with dealing with issues. I wanted guidance. Eventually, I decided that some things had to be done on my own. So I studied, I read, and I wrote on my blog. I had a few relationships born out of the studying and internet surfing. The season of the friendships is over, but they were there for a purpose: to help strengthen me. I did eventually quit blogging about things I formally did, and things are still as tough as before, but not quite so daunting. Books and stories about occult and the powerful, mesmerizing allure of its leaders always find a sweet reading spot within me. 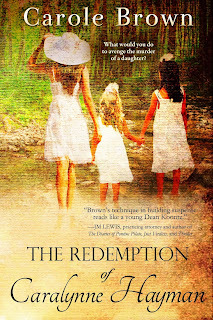 The Redemption of Caralynne Hayman is no exception. As I read this story, I am swallowed by its fast pace and deep storytelling; and it is my pleasure to host an interview with this talented author. The time is June 1861. A journal is given to a young Rebel fighter and each entry over the next four years detail the lives of 8 men: Rebel and Yankee. 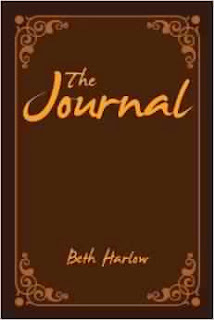 As the journal falls from one hand and into the next, each man will read what was written beforehand and add his own thoughts: about life, about the war, about love, and about God. Each man is at a different stage in his life in his relationship with God. Some make the choice, a couple do not. And each finds that there are good men and bad men on both sides and each pray for the day the war will end. The Journal chronicles these men's lives and will bring the reader even deeper into their own walk with God. At times I found the writing to be heartbreaking and I could picture the horror of the young man trapped in the bombardment of Vicksburg and his relief that his company had surrendered. Finally food and rest, either in a prison camp or in heaven. "Hope and freedom hang in the balance between the success or failure of one man’s plan. 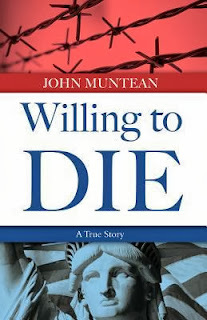 And John Muntean will succeed, or die trying." I have the blessing to know Jo Walker through online and phone calls. A truly remarkable lady with a bright love for Christ in her heart. When she told me about her opportunity to write John Muntean's story I was excited. But that excitement paled in comparison as I read a portion of the story before it was even published. Willing to Die takes the reader into a world very few knew much about. History books made passing remarks. We could find the country of Romania on the map. We heard tales about Romanian gypsies and the Romanian circus, but other than that what did we really know about it other than it was the Breadbasket of Europe? This isn't just a book about Decluttering your house and home, oh, no. This is a book that goes way beyond that. Declutter Now! starts off small, hitting the physical, and then it takes you into the spiritual and emotional side of the psyche. At the moment of this review, I am only halfway through this book. It's that good and that well written that I had to write a review for it. Taken in small steps, I am slowly doing away with the baggage of the "extras" in my life that is leaving me burdened and un-joyful. 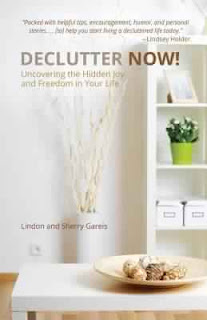 Declutter Now! 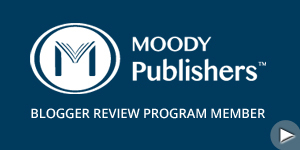 offers insights into the authors' lives, giving examples and testimonies. This isn't just a self-help book. This is a "we'll help you" book. Along the lines of Robert Ludlum, Jim O'Shea delves into the world of the Vatican, The Shroud of Turin, intrigue, and faith. 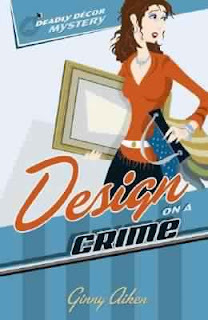 The reader is introduced to an Agatha Christie-like cozy mystery meets Inspector Clouseau-style heroine in this charming murder mystery, Design on a Crime: Deadly Decor Mystery. Maybe not a profound whodunit story, but this book packs a wallop with the list of suspects, the main one being designer Haley Farrell, bungled "snoop" sessions, comical happenstances between her arch-rival Dutch and the "Karate Chop Cop", and Haley's downs-and-ups in her faith. The main story may seem more of "who killed Marge", but the sub-plot concerning Haley's faith and her eventual growth in Christ strengthens the storyline. Marge's death leads to Haley's understanding that not everyone is perfect, and even the most undesirable person can receive forgiveness. Everyone has a choice, and sometimes people choose to ignore the right choice. This theme is worked throughout the book without it being preachy. 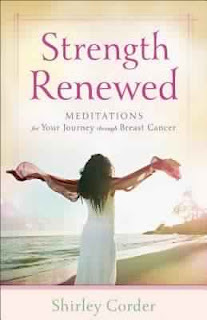 Shirley Corder's Strength Renewed is not just for those who suffer or have suffered from breast cancer...it is also for those who suffer from depression, anxiety, lethargy, pain, and all other "cancers" in life. From page one I found myself uplifted by Shirley's words. Although I have read the passages of Scripture before, I reread them with new understanding and new life. Just as her book provides new life to hope. 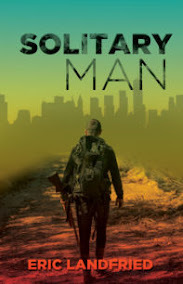 Recommended by Christian musician friend, Lance Edward of Angel Dean (hear a sample of his song in this book trailer:Mississippi Nights or as part of The Psalms Project: Psalms 1), this book will take you beyond a simple walk with Jesus and into a deeper relationship. Letting go of the past isn't as simple as some may think. The devil will still try to hold those bonds of servitude against you. For many years, Pentecostals are one of the most misunderstood denominations in Christianity. They are different. They are vibrant. They are emotional believers. 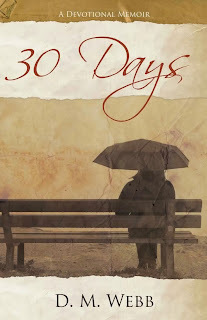 Ada Brownell does an excellent job in showing the life of a Pentecostal, the ups and downs, the doubts, the fears, and the wisdom that life offers. 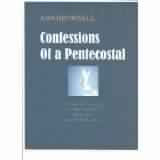 Through her book daily life is broken down and bits and pieces of what makes a Pentecostal is laid bare. Unlike some of the prejudices directed at those of the Pentecostal faith and the untruths about who they are, Ms. Brownell shows how each of them are just as plain and just as flawed as the rest. The one difference is the enormity of their faith and their determination to abide by God's Word. Written under the pen name, Simon Lang, by Darlene Hartman, this series tells the story between Earth and the conquered world of Eisernon. Like all worlds that are conquered, the ruling members are either killed or incorporated into society. But the story isn't about how the world was conquered, but how the world became to be Earth's greatest ally. Through political mistakes, friendly fire, and misunderstandings many atrocities are committed. The ruling Han of Eisernon are no more and the only surviving heir, Marik Dao, becomes the second in command to the stellar starship of the Federation, USS Skipjack and under the command of Captain Paul Riker. David Payne dies in a horrible wreck. Five friends from college decide to honor his memory and finish his charitable service project. Various reasons they give: out of guilt, for publicity, for an alibi. Meet Karyn & Kevin. Divorced ten years ago, with a fifteen year old daughter. Karyn is an actress for a daytime soap opera. Kevin is a high paid executive for a candy company. Both are absorbed with their success. Lisa is a woman, never married and secretly harboring an infatuation over an old friend, who runs a daycare and cares for her ailing parents. She obsesses over the rewards she receives from her church and being noticed. Susan, an interior designer, is financially stable through the death of her older husband. She agonizes about her looks and her status. Then there is Mark. An used car salesman, out to make a quick fortune, who hides a horrid secret. 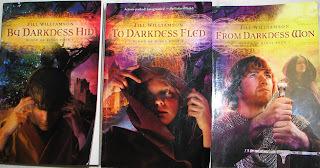 Jill Williamson may sit beside the authors Tad Williams with his Sword of Sorrow series and George R.R. Martin with his Game of Thrones series. She succeeds them with her Blood of Kings trilogy. 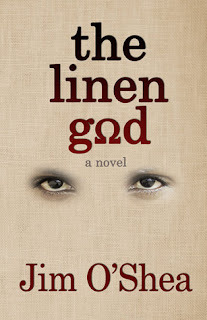 Follow the whirlwind journey of Achan, a young man whose status is lower than a slave, who not only discovers that he is the long lost heir to the throne, but also the one anointed by the One True God. Not a believer at first, Achan soon walks in fellowship with Arman. Gifted with the legacy of bloodvoicing, Achan is the strongest one of all. He is befriended by Sir Gavin. Before long, Achan is thrust into a terrifying war to claim his birthright and destiny. If one death could steal your joy, then what would two deaths do, steal your soul? Gray and Mackenzie are brought from joy to despair to hope and then thrown into the pit of hell. A review will never capture the essence of what this story does. It shows that no matter how big the hurt, the pain, the hope, etc., nothing is too big for God. 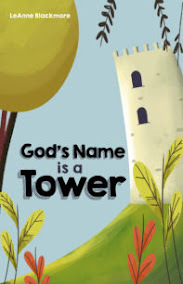 The chapters intermingled with Jeremiah's POV give a true Southern taste and how deep our roots go when it come to leaning and trusting our Lord. This story had me laughing and a lot of times--crying (and that is hard to do). Riveting at its best, and poignant at its worst, I have never read such a story with such heartfelt sincerity and bold honesty. Reading the blurb for this book does not prepare the reader. Written in first person, you quickly lose yourself in the story. You are becoming Sascha Konig. Set in the time of WWII at the height of the Third Reich, a young man, a Christian hidden under the teachings of Hilter's Youth, must battle the evilness of the Nachthaus, a secret underground cave that houses torture chambers and the oven, dubbed Dante's Inferno by Konig. 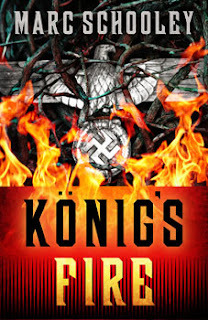 Earning the name of Nebuchadnezzar, Konig strokes the fire seven times hotter than it had ever burned before. Aidan O'Neill, a fireman with an innate ability to read fire, knowing when and how it will burn, becomes overconfident in his gift and it leaves him with the guilt of another fireman's tragic accident. It is a blow to his pride and to his faith. 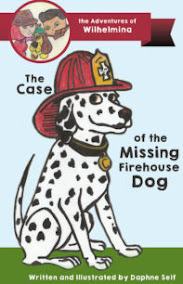 Told with a great deal of knowledge, not only in a fireman's line of work, but also in a man's struggle to cope with a loss and with guilt. This isn't a carefully weaved tale of salvation, but one of redemption. 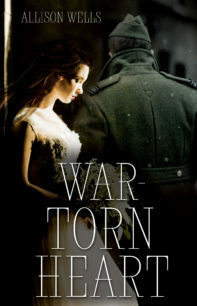 Even though he encounters betrayal through the hands of family, Aidan finds love through the hands of another. Have you ever loved something so much that it became more important than anything else in your life? This unique tale of a beautiful white rose that is requested by the King and Queen prove that sometimes the most beautiful thing can be found in the most surprising place. Baldrik spends his entire time caring for the most perfect rose plant during winter. Its one and only bloom opens on the first day of May. 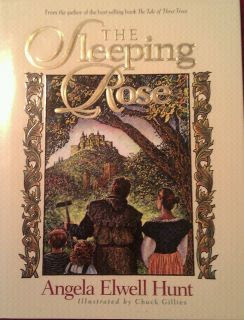 So famous is the rose, that the King and Queen invites Baldrik to their castle. Soon Baldrik's hobby becomes an obsession since his dream has always been to be a master gardener for the royal gardens. 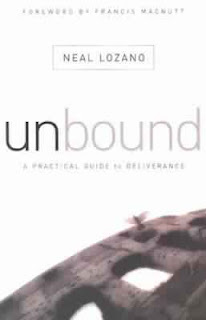 I picked this book to read to do research on the top ten sellers in Christian fiction. 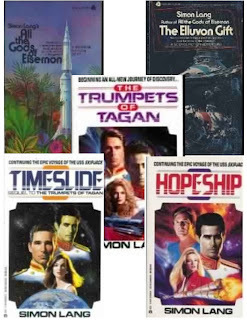 What made them the books that people went to over and over? What formula was used? 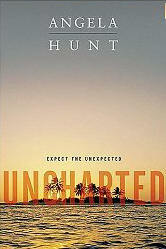 Imagine my surprise as I started reading, I became engrossed by the story. Even though I started reading it quite a few days ago when time permitted, I finally sat down and finished the last 200+ pages of the story. I did not want to put this down. Romance is not my typical genre. 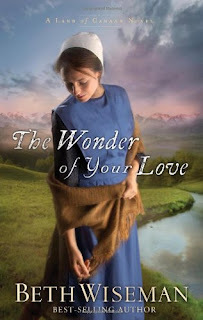 The Wonder of Your Love is the first Amish romance I have ever read. Stereotypical Amish romances, from reviews and perusing of some books, are usually cookie-cutter type books of fluffy happiness and goody-two shoes characters. Not this book. Terri Blackstock: Golden Rose Spotlight I welcome Terri Blackstock, a NY Times bestselling author, and a remarkable lady. It is my honor and privilege to have interviewed her. Short blurb for Predator: The murder of Krista Carmichael's fourteen-year-old sister by an online predator has shaken her faith and made her question God's justice and protection. 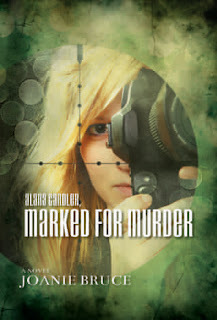 Desperate to find the killer, she creates an online persona to bait the predator. But when the stalker turns his sights on her, will Krista be able to control the outcome? Laurie Alice Eakes brings forth three charming tales with her Midwives series. Historically accurate, lovingly crafted, and beautifully told, each book immerses the reader into a lesser known community of Colonial times. Her booksLady in the Mist, Heart's Safe Passage, and Choices of the Heart deal with healing, love, heartache, strength, but above all faith. 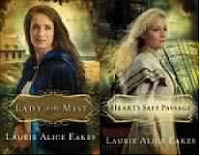 Laurie Alice is skilled in bringing the characters to life, even the secondary characters, and never shying from the harsh ways of life during those early times in America. 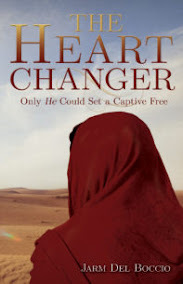 The romance is beautifully written, not only the romance between characters, but the romance between a character and God. Her books will strike a chord within every heart, plunging the reader into a melody of history and time. Highly recommended, Laurie Alice Eakes' Midwives series is a definite read, a book to keep forever on the shelves and to read over and over again. Amanda Cabot & Waiting for Spring Amanda Cabot has a way with words that leaves the reader spellbound. 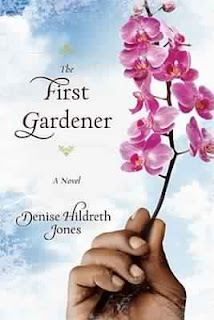 This delightful romantic read brought forth an accurate portrayal of a widow and her son set in the late 1800's. Page after page left me reading and longing for more of the story until the final page was turned, and still I wished for more. Heartfelt, beautiful, and truly a wonderful read, Amanda Cabot captures the beauty of a timeless age and of the Wyoming frontier. Above all, the spiritual lesson within the story was subtle at best and uplifting, hope given to all who have suffered and long to be healed and long for that second chance at life. This read was a breath of fresh air and a burst of new life.